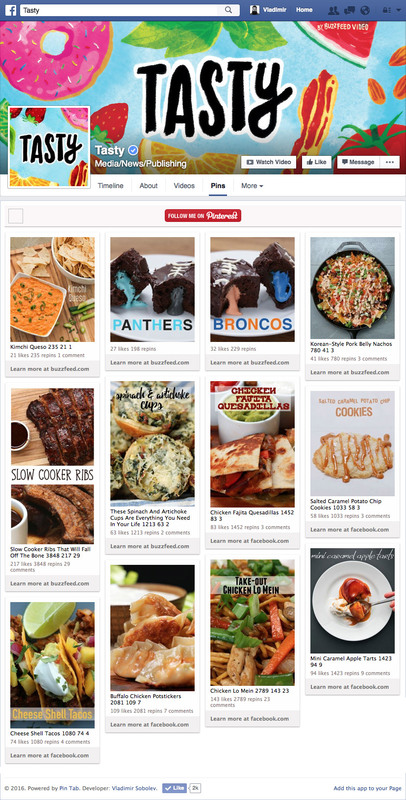 Show off your pins and boards on a custom Pinterest Tab for Facebook. This special app goes above and beyond other Pinterest apps on Facebook to provide quick, easy and intuitive viewing, repinning and liking, all in one attractive tab on your Facebook page. With a prominent ‘Follow’ link leading to your Pinterest account, this tab is a great way to generate interest and engagement for your Pinterest boards.